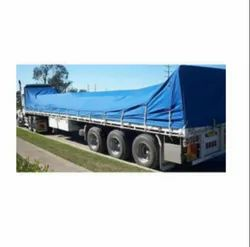 We are proficient to provide our valued customers the best quality range of Truck Tarpaulin. Acknowledged extensively owing to its well finish, these are available with us in diverse designs and sizes. We are fruitfully catering to the assorted demands of the customers by providing Truck Tarpaulin. We offer a quality range of Truck Tarpaulins. These are manufactured using high grade canvas fabrics as per the latest market trends under the supervision of skilled team of professionals. The products are available in different colors, thicknesses and lengths as per the requirements of the clients. Our organization is counted as a leading manufacturer of Truck Covers. We use high quality raw material such as PE, PVC, flex and canvas to manufacture these covers. These covers are manufactured in-house using high-end machines. Clients can avail these products in varied lengths, widths and colors as per their requirements. Owing to the wide experience of this domain, we are instrumental in offering Heavy Duty Truck Tarpaulin. •Used during the build process to protect masonry from weather damage. •Used for a fly in-camping. 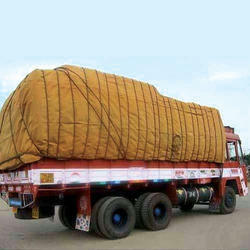 We are Leading Manufacturer of Truck Tarpaulin from Gandhinagar.